Pennsauken is a township located in Camden County. With a population of approximately 36,000 people, Pennsauken is considered a suburb of Philadelphia, Pennsylvania and a nice place to raise a growing family. Whether you are enjoying the nightlife in one of many of Pennsauken’s breweries or on the golf course, there’s no time for a toothache to ruin your day. 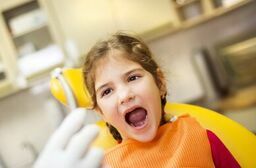 Emergencydentistsusa.com has put together a list of local dentists and specialists in the Pennsauken area. All you will need to do is view the list and choose the dentist that is right for you. If you are short on time or don’t have access to the internet, please don’t hesitate to call our toll-free dentist finder hotline today. When you call into our hotline, our team of friendly professionals will assist you in finding a dentist or specialist that can help. We know that you may have a dental emergency and will assist you in finding a dentist that has same day and next day availability. We are here to help you find the dentist that is right for you. We will even schedule your first appointment for you. We do recommend that you arrive approximately 20 minutes before your scheduled appointment time to fill out new patient paperwork. Be sure to bring your photo ID, your insurance card, and any applicable co-payments.and a list of all allergies and current medications you may be taking. Fortunately, there are many dental options that are available for you to choose from in Pennsauken. If you have a toothache you will need to see a general dentist to ensure that the problem is not serious. If your general dentist is unable to perform the needed procedure, he or she can refer you to a specialist who can help. Description: The dentists at Maple Family Dental accept adult and pediatric patients in this general dentistry practice. When you have a dental emergency, Maple Family Dental offers same day and next day appointments for your convenience. The dentists at Maple Family Dentistry have experience in all aspects of general dentistry care including preventative dental services, fillings, root canal therapy, crowns, bridges, extractions, dentures, implants, and much more. If your new job determines that you are in need of specialized dental services he will be happy to refer you to one of his friendly colleagues. Description: Dr. Edward Mereminsky DMD sees pediatric and adult general dentistry patients. If you are experiencing a dental emergency, Edward Mereminsky DMD offers same day and next day appointments for your convenience. Edward Mereminsky DMD is experienced in preventative dental services, fillings, root canal therapy, simple extractions, dentures, and more. If your new dentist determines that you are in need of specialized dental services he will be happy to refer you to one of his friendly colleagues. Description: The dentist at Dental Excellence offers same day and next day appointments for your dental emergency. Dr. Haider is experienced in all aspects of general dentistry services including root canal therapy, crowns, bridges, extractions, dentures, and much more. If your new dentist determines that you need specialized dental services, she will be happy to refer you to one of her friendly colleagues. If you have tooth pain that has lasted for more than one hour, please make an appointment with an emergency dentist. Tooth pain is often the first sign of serious dental problems and you need to receive the proper care as soon as possible to ensure that further problems do not occur. If you have been involved in an accident, you should visit the local hospital emergency room. Before you head to your new dentist’s office, you should take some time to do your research and verify the licenses and credentials of the dentist that you chose. You can do this by visiting the New Jersey Dental Association’s website and typing in the dentist’s name into the search bar. From here, you can verify your new dentist’s licenses and credentials. If you are running short on time, ask the receptionist at your new dentist’s office and she will be happy to assist you in obtaining these documents.